It’s everyone’s worst nightmare to watch helplessly as a hairdresser chops your locks into a new and sometimes adventurous hairstyle as you sit in the chair, too polite to say or do anything about it, yet almost all of us have experienced a questionable trip to the salon at least once in our lives. As customers, we often assume that hairdressers have infallible expertise, taking their advice and recommendations as gospel. As a result, many of us find it difficult to voice our opinion or make a complaint through fear that it might be taken personally. Whilst there are innumerable great hairdressers out there, areas of expertise and skill vary. This means that some hairdressers may be great at colour but there downfall might be styling. But once the dye has been applied or your hair has been cut it is often too late to salvage it. It’s therefore better to address any concerns before cut, colour or treatment begins. Remember that stylists invest time in your look and money in products for your booking. They take pride in their work and want you to leave the salon a happy customer, so honesty is essential on your part. Don’t be shy to say what you want and question decisions that you are unsure of. To prevent disgruntled hairdressers and avoid disappointing hairstyles, you should get to know the telltale signs that indicate your salon of choice is not for you after all. Cue salon etiquette 101. When you are getting your hair done, communication is key. Your hairdresser isn’t a mind reader, so if you want that perfect blunt bob you’re going to have to give your stylist some detail. If you’re seeking a complete hair overhaul the first rule of salon etiquette is always bring photographs. 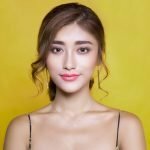 Describing your desired hair colour as ‘honey brown’ may mean one thing to you but it could mean something entirely different to your stylist. As well as this, vocalise which aspects of the photographed styles you like and which aspects you aren’t so fond of. Your stylist can then advise you on what will work with your face shape or complexion, steer you away from bad treatments and guide you to a look that you’ll love. When it comes to stylists, the perfect professional listens and advises but doesn’t push. It so follows that if your hairdresser doesn’t listen, is intent on doing a style that you don’t like, or won’t let you get a word in edgeways, you should think twice before letting them near your hair. Eva Scrivo of Eva Scrivo Salons in New York City noted that a stylist’s inability to communicate with their client is a warning sign that they might not be that great at their job. At busy salons equipment gets used so frequently that it requires updating regularly. This especially applies to hot tools such as hair dryers, straighteners and curling tongs, as damaged or worn-out hot tools often have unevenly dispersed heat. Getting that perfect wave using overworked hot tools therefore requires more exposure to the heat, which can cause serious damage to your hair. 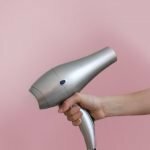 A couple of telltale signs that the salon equipment isn’t up to scratch include hairdryers with a lot of fluff, lint or dust in the filters, curling tongs or hair straighteners that smell of burnt hair or other unpleasant odours and severe discolouring of the metal on the tongs or hair straighteners. If you do spot any damage, politely ask your stylist to use a different implement. In a well-stocked salon there should be plenty of alternatives available, so it shouldn’t be a problem. All credible salons will have portfolios of their work available as a way of showing creativity, skill, achievements and originality, so don’t be afraid to request a look. This is the best way to get to grips with the style of the salon and see what the hairdressers have to offer. If you like a particular hairstyle in the portfolio you can then request the hairdresser who did the work, comfortable in the knowledge that they can execute your look! If your salon of choice doesn’t have a portfolio, it can be difficult to gauge the ability and style of the hairdressers. In addition, it suggests that the salon doesn’t take enough pride and care in their work to display it. A lack of portfolio on the stylist’s part in particular indicates that they might not have enough experience to show. You may therefore feel uncomfortable trusting their capabilities, especially if your desired style is particularly complicated or requires a number of skills. In this case, politely enquire if another, more experienced hairstylist is available. There are thousands of really great hair salons out there, but if you’ve never visited the salon that’s about to cut your hair it can be difficult to gauge how good they really are. 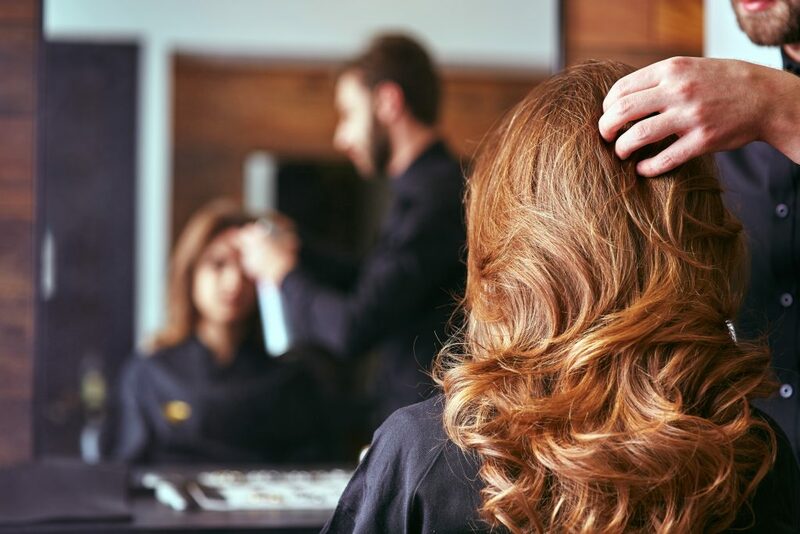 Luckily there are a number of recognised accreditations that you can look out for that recognise salons and their workers for their skills and vision. Industry awards, industry authority licenses and recognition automatically legitimise a salon as a place that employs trustworthily, professional and inventive hairdressers. More than this, they are proof that the salon owner invests time in training their staff and cares about the services they offer. Most salons display proof of their accreditations in the salon window or on their website. Ultimately you should be in safe hands in a salon that is well accredited. Consultations don’t mean an in-depth and drawn-out chat about why you’re getting your haircut, where you’re going to on your next holiday or past hair traumas. A hair consultation should simply consist of a discussion with your stylist about your style preferences and what you envision for your new look. Your stylist should be engaged in what you’re saying, they should assess the condition of your hair and offer constructive advice about how much to cut off and how best to treat your locks. More than this, a stylist should always remain professional and should never be rude or offensive. In the event that you arrive for your appointment and are not offered a consultation, first try to engage your stylist by asking their advice. If they are still unreceptive, you have every right to request a different stylist or leave the salon. 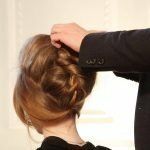 Many of us find addressing concerns in the salon difficult as voicing doubts about a stylist’s choices, abilities or tools can be awkward if done in the wrong way. However, stylists should bear in mind that customers may feel a little vulnerable when trusting a stranger with their hair. If you do feel uncomfortable with the equipment, stylist or salon don’t be afraid to politely voice your concerns, as honesty is the best policy. Remember that your stylist wants a happy customer and at the end of the day it is your hair and your rules.